MLB announced plans to greatly expand instant replay in 2014, introducing manager challenges and a review system that will send challenged plays to MLB headquarters in New York for review. » 3 Challenges per game, per team, split into 1 challenge for innings 1-6 and 2 for innings 7 and beyond. » Plays other than HBP/foul and balls/strikes calls will be eligible for review. To initiate a review, the manager will file a challenge with either the home plate umpire or crew chief. Final decisions would be routed through the crew chief. » When a challenge is filed, the umpires will contact MLB HQ in NY, which will make the final ruling. » Working the review room will be a to-be-named-later "crew" comprised of persons with umpiring experience who may be retired or active. » Any play that would otherwise not be reviewable via instant replay can still be argued. » The HR review process will remain the same with review conducted in-Stadium. through New York MLB HQ. Braves president John Scheurholz, a member of MLB's instant replay sub-committee with Executive VP Joe Torre and advisor Tony La Russa, said arguing a reviewable play—whether or not that play was challenged and went to review and regardless of the result of any potential review—will be grounds for ejection. The proposal still awaits approval from three key stakeholders, who all will discuss and vote on the item this offseason. The owners must approve the plan with a 75 percent vote while both the players' association and World Umpires Association also must agree to any deviation from the current system of review on home run and boundary calls. If all goes according to plan, umpires will begin receiving training in the new system during the 2013 Arizona Fall League and 2014 Spring Training periods. The latest instant replay proposal follows consecutive years of failure to expand the system, despite extensive testing, proposals and statements to the contrary. In February, Torre admitted replay would not expand in 2013, putting off the decision to "next year." Torre's statement followed a Bud Selig mid-2012 interview during which the Commissioner stated he envisioned a 2013 expansion to catch vs. trap plays and fair/foul bullets down the line. Prior to the 2012 season, a proposed labor deal including expanded instant replay review failed to pass despite a proposed labor deal to expand the technology to cover fair/foul and catch/no catch calls. Added Selig, "it's a historic day." So how long until a manager comes out to request review for an obvious play in order to ice the other team's pitcher? So the only thing left that there should any arguing is HBP/foul. No more morons like Hurdle in the faces of umpires. I have a feeling this is going to actually increase ejections. so what stuff can people challenge safe/out, catch/no catch is the obvious ones I assume. Will Ball/strike be not reviewable? Arguing runner placement and the fact they still got it wrong after reply. Did anyone else see a certain irony in players in the Little League World Series wearing patches that say "I Won't Cheat" while the first pitch was thrown out by Gaylord Perry? Great news for AAA umpires. i think placement of the runners is the biggest problem, but here's another thing, runners on first and second, low liner to center, runners go halfway, no catch is ruled, runners take off. replay shows catch is made, now what about the potential double play? if i'm managing, i may decide to use a challenge to get a guy ready in the bullpen. Three seems like an excessive amount of challenges, especially since, to my knowledge, there is no repercussions or disincentive to not "fake" a challenge on a non-controversial call. I feel like a better system would just be automatic booth reviews on anything close. Don't even involve the manager. Have the offsite people look at it, and get a hold of the crew chief via some means if it needs to be reversed. Also, I agree there is still going to be a lot of arguing about runner placement, possible double plays, and the like. It may reduce it, but this is not going to eliminate the arguing. Lastly, why are home run calls being left to the crew? It seems like, if you are going to put a third party review system in place, then just make that the standard system. One review process for all reviewable plays. Not this we do some, they do some system. I have no issue with expanded replay, but I agree with others who predict managers abusing the challenge process either to warm up a pitcher or to screw around with the opposing pitcher's rhythm. I'd prefer something more like college football where there is a replay official at or at least assigned to each game who can buzz down to the crew chief if he or she decides a play needs another look. 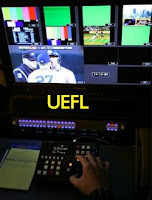 There is always time between plays for tv replays, so the replay ump will be able to watch close plays a few times to decide if further review is warranted without having to delay the already slow pace of most games. If they go with five man crews instead of making this a retirement gig, they may also cut down on injury time by giving folks built in rest days. Only downside of this approach would be managers arguing when the official decides not to review or if you some umps refuse to "show up" there brothers on the field and let wrong calls go. In other words, calls in innings #1-6 aren't as important as 7+. I'm assuming that extra innings will not add additional challenges. I only wish the penalty was more tangible than simply losing the right to challenge, versus being allowed to retain that challenge if the call was wrong. Take a page from football and lose the timeout or in baseball speak, charge the manager with a MOUND VISIT. If that's #2 of the inning, bye bye pitcher. If on offense, the team gets charged with a mound visit the following inning when on defense as soon as the first pitch is thrown. Better yet, get rid of the challenge system and hook up with the NHL 100%. Review all scoring plays automatically from the Command center or whatever they're calling MLBAM HQ's war room. Give the crew chief or the UIC a buzzer or beeper and page them if there needs to be an extended time out in order to complete the review (most plays will be conclusive within 10-seconds or less....about the time it takes for the next batter to get to the plate and finish his warmup routine). If tag plays are going to be reviewed as well (which it sounds like they are), follow the NCAA football system. The booth will buzz before the next play. No buzz = no need for a closer look. I'm also assuming balks will not be part of this reviewable play process. Infield fly? Not a chance. So people with umpiring experience - ambiguous... Maybe the Casey Moser's and Adam Dowdy's or other guys who got looks but released would be invited? Bring back Bill Hohn? Or take from the existing MLB payroll of Bruce Froemming's and the like? Are they going to use instant replay to determine things like "secure possession" and "voluntary release"? As in judgment calls? Surely check swings won't be in, nor interference/obstruction? Can't wait for them to challenge "neighborhood plays". Now you're 15 million dollar SS is going to have to stay on that bag a little longer and get ran over. Swipe tags are going to be awesome. No more ball beating them by a mile and putting down a weak tag attempt. Obstruction and interference will be fun. Look at it this way, they will have plenty of opportunity to read the correct rule in the booth during these reviews. Every walk off sac fly will be reviewed. Why not right? Pitcher went to his mouth. Review it. He didn't get distance on that pick off, review it. For the life of me, I don't understand why they don't just use the simple system of TV umpires. Umpire on the field feels the need for some help, indicates that to the booth, TV umpire reviews. No challenges. No limits. No icing of pitchers. Oh well. I agree with the people that have said that managers will use this as a stall tactic to buy pitchers more time in the bullpen. I think there does need to be some sort of penalty if you challenge a call and lose the challenge. I think it should be an automatic out is applied to your team during the team's next at bat. My other idea would be that if you lose a challenge, the manager gets ejected. I also think that challenges shouldn't be able to be retained if the manager wins the challenge. There are enough issues with length of game that we don't need managers challenging every single call that they feel is wrong. It should just be 1 challenge for innings 1-6, and 2 challenges for innings 7 and beyond. Carp was ejected by Welke in Boston. Kind of a flat slider that may have caught the corner. It appeared Carp was hit by a pitch in the foot earlier in the at-bat but Bill ruled it did not. One challenge per game. Challenge successful - retain the challenge. This will keep challenges from being used frivolously & keep the pace of the game moving. I'm a Sox fan.. and the ball did not hit his foot. Carp completely deserved the ejection. Great mechanic by Welke too... very nonchalant type of wave -- "of course you realize you're no longer in the game because of this little tantrum... now get lost kid, you're bothering me." No point in arguing that the replay decision is wrong with the field crew. They are not making that call.